The intensity of competition at PFi on a regular race weekend is incredible, and this makes the drivers super competitive and of course all the support they have from teams, mechanics and engine builders is top notch. The quality of the PFi facility is such that everyone in the UK wants to race there, which combines with all the other factors below to create a World level competition there at least once a month! 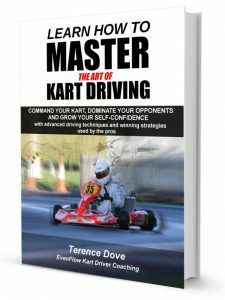 From where I am writing this, I can drive to at least 4 different quality kart tracks within an hour. 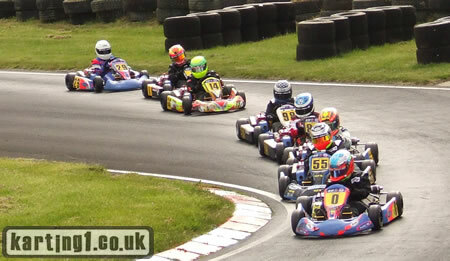 These are PFi, Shenington, Kimbolton and Whilton Mill. These tracks are open all year round for racing and the Brits race and practise at these venues in all weather. The tracks are all completely different, and strange in their own way so that the drivers gain tremendously wide experience. The clubs are smart enough to run races that don’t clash too often allowing a driver to race every weekend of the month against tough competition. This creates constant development in an intensely competitive atmosphere, especially in the cadet classes (more on them in a bit). Races are very rarely cancelled because of weather, so the drivers here are toughened up in conditions that can only be described as horrific! The coldest I’ve seen at a race meeting was minus 12 degrees, and there was not a hint of cancellation in the air. PFi winter series – busy as you like and treacherous! Weekend off? 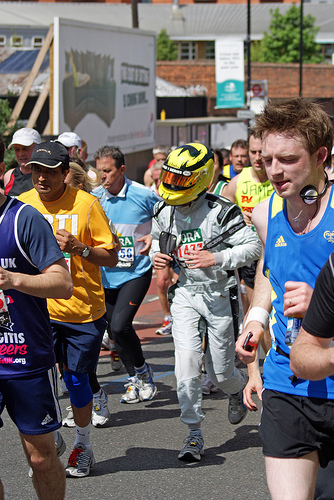 Run the London marathon in your karting kit – typical lunacy from British drivers! If you are used to running in races from the age of 8 years old where absolute professionalism is a given, and the smallest mistake means the difference between a win and 30th position, then running at world level is not daunting at all. It’s just another day at the office, and these drivers treat it as such! 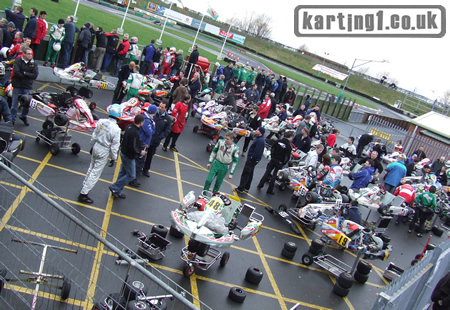 So if you want to race the best, and test yourself in the toughest racing environment in the world (including any other motor sport category) come and race karts in England. If you can win here, you can win anywhere, in anything!